Organic Impurities Test Bottle w/ Lid - Gilson Co.
HM-817 Organic Impurities Test Bottle w/ Lid for use with Organic Impurities Test to detect organic compounds in fine aggregates. 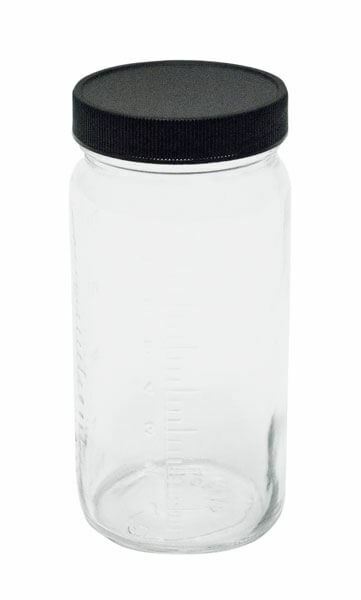 It is a clear and colorless 8oz (237ml) bottle graduated in both oz and ml measurements. The screw-on lid creates a water-tight seal. Available as a single unit or included with HM-137 Organic Impurities Test Set. 8" Sieve, Brass/Stainless, Half Height, 5/16"